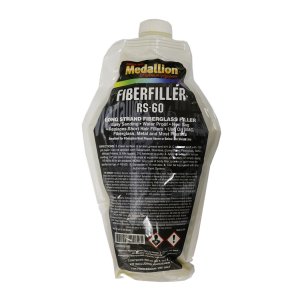 A two-component polyester body filler reinforced with chopped fiber strands. Ideal for repairing damaged SMC and fiberglass. Also excellent for fixing rust holes in metal. A two-component finishing putty (RS-50/RS-51) should be applied over RS-60 before topcoating.